I was looking through my posts recently trying to figure out what topics I would like to incorporate more of into my writing, and then I realized that I don't hardly have any health/fitness posts. So I decided to make a post about what a typical day of eating looks like for me. I'm going to give you all the info on what plans I follow, how I follow them, and what I find works and doesn't work. I'm strictly talking nutrition here, so no fitness stuff in this particular post. Also, I am NOT a fitness expert, a nutrition expert, a body builder, or an expert health anything. I am simply someone who tries to eat healthy, workout daily, and feel good about myself. Everyone's goals and likes/dislikes are different, so don't take any of my suggestions in this post to heart. They are simply that-suggestions. I also don't intend on diving into my whole fitness/health/wellness journey in this post, but maybe another time. For this one I just wanted to keep it simple-what I basically eat in a day, little tricks I've picked up along the way, and maybe some advice on where to begin nutrition wise. Okay, so let me start by telling you when I eat. I do IF (intermittent fasting). If you don't know what this means, basically it means I allow myself a certain time slot during the day to eat, and after that time is up I ingest zero calories. The idea behind IF is basically that when we are eating throughout the day, our body relies on that food for energy. When we create this period of "fasting" and our bodies aren't able to rely on food we are ingesting for energy, it instead will look to our fat that is existing to burn up for fuel. Essentially, it's supposed to burn fat like crazy. Ideally, like I said above, you want to give your body a 16 hour window where you aren't eating any calories, and this is your "fasting" period where it has the chance to just burn your fat. So I don't have my first meal until ten in the morning, and I stop eating at six o'clock at night. This means (for me) that I had to give up my morning coffee. YES IT WAS HORRIBLE. The reason this is, is because I use coffee creamer. The creamer is calories, thus, drinking coffee would break my fast. If you prefer hot bean water (coffee with no creamer) then it will not break your fast and you can still have it. If you're like me and want to try this, I will say that eventually your body gets used to not having coffee. I have found that in the mornings now I drink pre-workout instead, and then have coffee with my dinner just because I enjoy it, and I'm totally adjusted to this lifestyle change. The other thing I wanted to say about the IF real quick, is that you can pick whatever 8 hour period of eating that you want. My boyfriend doesn't eat until noon, which means he gets to have his last meal later. I can't do this though, because I love breakfast, so I tried to pick time frames that fit my lifestyle better. Before we move on, if you're asking, so does the IF really burn fat like crazy? The honest answer to that from me is, I have no idea. I know that it's supposed to. But I haven't been doing it long enough to be able to say, not to mention I really don't pay that much attention to my body unless I'm doing a fitness challenge, so I just don't know. What I can say is that it helps me tremendously with cravings and snacking, which in turn has helped my self-discipline a lot, and that's why I do IF. Okay, that was exhausting to try and explain, so let's move on. I used to eat five meals a day (3 big meals and 2 snacks in between), but once I started IF, I changed to eating only 4 meals a day (3 big meals and 1 snack) and then sometimes an extra snack after dinner. I also drink 1/2 my body weight (in ounces) in water daily. As far as meals go, I follow Lauren Gleisberg's meal plans. 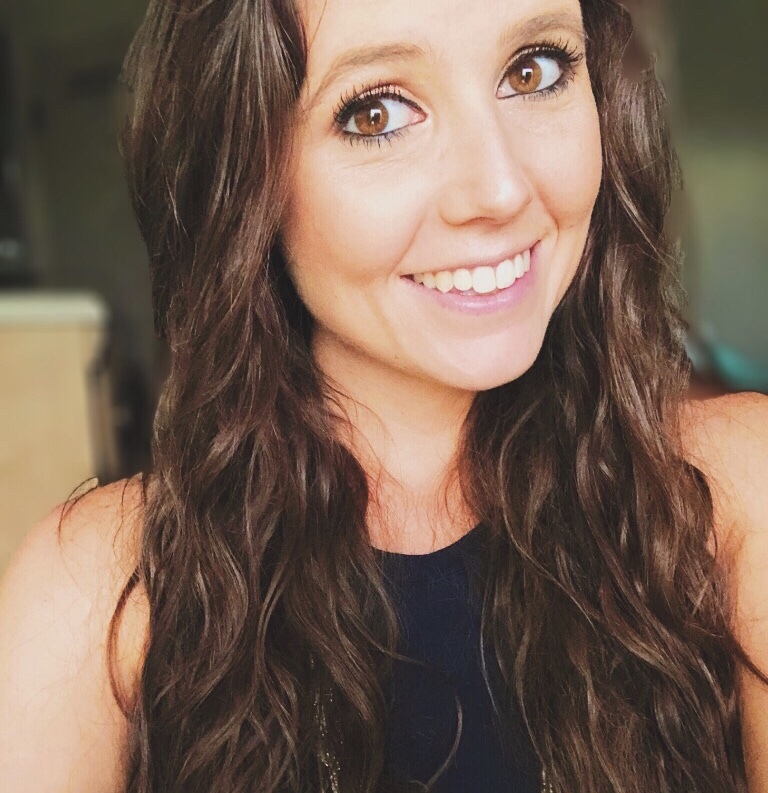 If you don't know who she is, she has a blog (here) that has all her meals and fitness info and plans, or you can follow her on instagram @laurengleisberg. I like her meals because they are quick, easy, and delicious. I used to follow Tone It Up and their meal plans, @toneitup or check them out here. I absolutely love Tone It Up, I love the community, and I still make some of their recipes. (Last week I made their pumpkin peanut butter balls and they were freaking AMAZING). Unfortunately, the majority of their meals don't do it for me taste-wise, so although I could eat their recipes long enough to complete a challenge, to create a whole lifestyle around them made me dread eating. So I like Lauren's meals because I actually enjoy eating them, which makes me able to sustain healthy eating as a lifestyle. If you're curious about my initial discovery and the results of my first LG challenge, read my past blog post here. 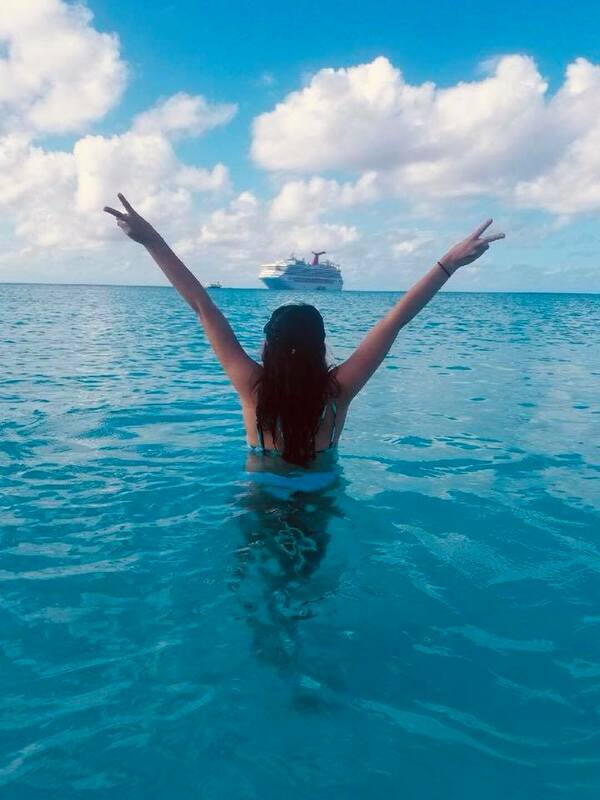 You'll be able to see what my thoughts are regarding Lauren Gleisberg, as well as see my before and after photos from when I completed her first fitness challenge. If you check out LG's page and decide that you'd like to try out her fitness and meal plans, this coming Monday (the 19th) is the first day of her next challenge, which is called the Fitmas challenge. It's a 5 week fitness and nutrition challenge to keep you in shape through the holidays. Perfect time to join the LG team! So now I'm going to share with you my meals in a day. I will give a general description of what they are, but I'm not going to give the recipes because they aren't really mine to give 🙊 I'd also like to add that I eat the SAME meals every day for a week. Meaning, whatever 4 meals I prep on Sunday to eat, I prep enough of to last me a week. The main reason I do this is to save money. The other reason I do this is to save time. Lauren has her meal plans laid out where you can have different meals every day, but I just choose not to do that. Alright, so for my first meal of the day I absolutely love to have a smoothie. I like smoothies for breakfast because they are light, and perfect for after working out. I always work out first thing in the morning, so having something light and delicious right after is like a little rewarding treat for me. My favorite smoothie has peanut butter, bananas, and chocolate protein powder in it, but I literally have at least 20 smoothies that I really, really enjoy. Before IF, I would have had a small snack a couple hours after my smoothie, but since I don't eat until ten, a couple hours later is lunch, so I just took that morning snack out of my diet. For lunch this week I'm having healthy chicken alfredo. It's wheat pasta, chicken, broccoli, and then yogurt as the "alfredo sauce." There are more ingredients in it, but those are the basics. That is this week's lunch that I planned, but my favorite thing for lunch is a sandwich or wheat wrap. I like to eat turkey, lettuce, and cheese on either a wrap or on two slices of Dave's Killer Bread, along with some form of healthier chips or popcorn. A few hours after lunch I usually have a Larabar. These were introduced into my life when I was following Tone It Up, and I have been hooked ever since. They are so delicious, and come in a variety of flavors. 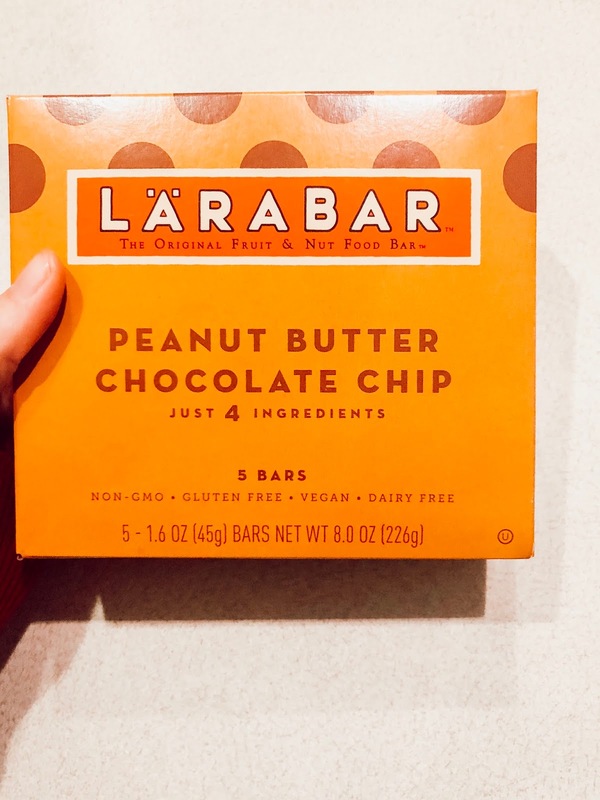 They're perfect for snacking on when I'm in my office or traveling. For dinner this week I'm having butternut squash soup. Funny fact about me: I hate...despise...LOATHE vegetables. But I LOVE butternut squash soup. I put onions, celery, chicken, and of course butternut squash in there, among other things. It is sooooo good. And a perfect Fall meal. Then, right after dinner I will have a cup of coffee and some sort of snack usually. I try to have a snack after dinner to curve any late-night cravings, as well as to give myself a treat for eating well all day. Last week I made those PB balls, this week I made protein brownies. 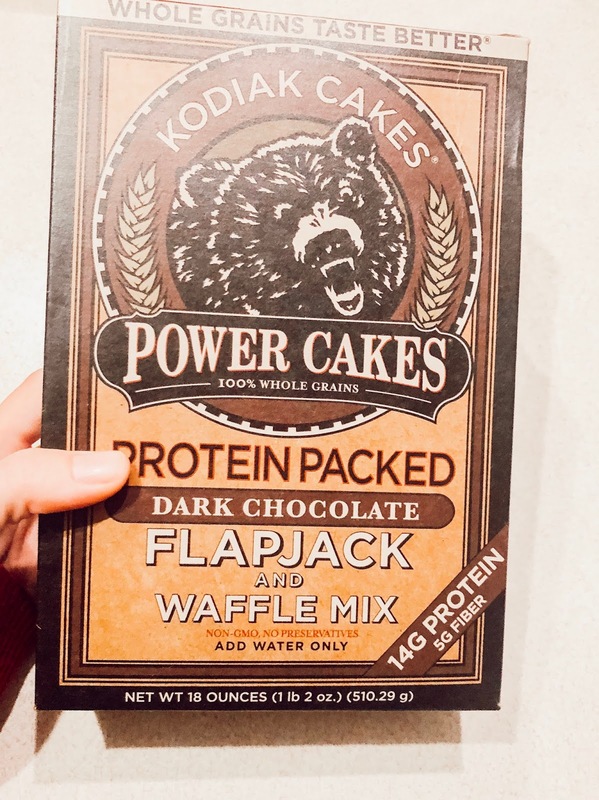 I had already thrown the box away that the brownie mix came in, but the brand that I use for the brownie mix also makes protein waffles (that I also love), so I included a picture of what the brand's packaging looks like. Kodiak Cakes also makes cornbread, muffins, and other goodness, and YES they are all delicious. (In my opinion). On the weekends I typically make these waffles for breakfast instead of a smoothie, and save a smoothie as my snack. I also like to have a treat dinner or lunch on the weekend (meaning I eat whatever TF I want for that meal) as long as I've eaten good throughout the week. Okay, I think that about covers it! I tried to give you a general idea without going into too much detail. If you want to know more, check out anyone I referenced in this post, and you can see recipe samples and try different ways to incorporate healthy eating that works best for you. Remember, healthy eating should be about taking care of your body and feeling good. Also remember that we can drink our smoothies, eat our kale (<~ew), and workout daily, but if we don't take care of our spirits and our minds, WE ARE NOT HEALTHY. I hope you found this post to be of some help, if you have any questions/tips/thoughts, leave a comment!